International students is also defined as offshore students, which means the students are overseas while applying for the student visa through courses provided by SIIT. Local student is also defined as onshore student, which means the student is within Australia, applying for student visa through courses provided by SIIT, or studying currently in other institution in Australia. Some subjects allow students to register for a waitlist if a class is full. Where a qualification at an educational institution holds NAATI endorsement, students who complete the qualification at the standard required by NAATI may apply to sit a certification test. NAATI endorsement acts as a quality seal that gives credibility to an institution&apos;s qualification(s) as well as providing a valuable incentive to future students. Credit points towards your upcoming course based on previous tertiary study. A subject outside of your major, minor, or specialization. The census date is the last day you are able to withdraw from a subject, apply for leave of absence, or withdraw from your course without being financially liable. Classes you may undertake during your time here as a student include lectures, tutorials, workshops, laboratory’s, practicals, and seminars. Once you have enrolled in the subjects you wish to undertake for the semester you must select which classes (days and times) you will attend each week. Core subjects, also known as compulsory subjects, are subjects that you must complete to meet course requirements. In the Study Plan core subjects are indicated by a red &apos;C&apos;. A course is your full program of study. The completion of a course will lead to the conferral of an award. In the online Study Plan &apos;course structures&apos; are designed to assist with your course planning. They set out what types of subjects you will need to take and how many credit points you will need to complete each year. Each subject is worth a certain number of credit points, and to complete your course it will require the completion of a total number of credit points. Once you have been offered a place at the University, you will need to enrol, which involves accepting the Enrollment Declaration and enrolling in subjects for the semester. The Enrollment Declaration is a contract between the student and the SIIT, covering the conditions of enrollment at the SIIT. The last date by which you must enroll in your course including subjects. This date is outlined in your offer letter. In the online Study Plan, a status of &apos;Failed&apos; is shown below the name of the subject when you have enrolled in a subject, but failed it, or not successfully completed it by not meeting the assessment or hurdle requirements. The Handbook provides comprehensive information about all courses and subjects offered by SIIT. Your invoice shows your tuition fees or student contributions due for payment within the current invoicing period. A leave of absence is a period where you are not enrolled for a semester or more. A major is a concentration of subjects that equips you with specialized knowledge in your discipline, and is recorded on your academic transcript. A minor is a concentration of subjects that equips you with specialized knowledge in a discipline, and is not recorded on your academic transcript. Also known as ‘electives’. In the Study Plan, optional subjects are indicated by a blue &apos;S &apos;. Passed subject status refers to a subject which you have enrolled in and successfully completed. Your Timetable is a weekly schedule of the classes for which you have registered. When you have selected a subject in your Study Plan but haven’t yet enrolled in it, it is ‘planned’. 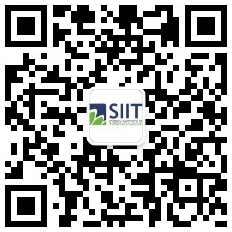 You must enroll into the course before you are eligible to commence your study at SIIT. 2 Weeks late enrollment is permitted as per student request and evidence provided. Sanctions are penalties or restrictions that you may incur which will restrict your access to resources such as the ability to enroll, access results, or graduate. A specialization is a specified sequence of subjects that equips you with specialized knowledge in your discipline. Special Consideration is available to students who have had their studies significantly impacted by short-term circumstances beyond their control. This is a form of assessment usually offered to students on the basis of an application for special consideration. Your Statement of Liability shows all unpaid tuition fees or student contributions for enrolled subjects. You can access it via your student portal. Your study load refers to the number of credit points you will be enrolled in each semester. There are four standard study periods during the institute academic year: Semester 1, Semester 2, Summer Semester and Year-Long. Subjects taught outside these standard study periods, such as intensives, are referred to as &apos;non-standard study period subjects&apos;. The online Study Plan displays your course structure. It shows the subjects in which you are enrolled, and helps you to plan your future enrolment. In the online Study Plan, subject availability shows when and where a subject is offered, such as, &apos;2016, Semester 2, Melbourne, On-campus&apos;. Each subject has a unique code. The first four letters of a subject code indicate the area of study of the subject. The first number in the subject code indicates the year level of the subject. 1 - 6 are undergraduate subject levels. 7 - 9 are graduate study levels. For example, FNCE90005 is a Finance graduate subject. In the online Study Plan a subject’s status is displayed below the name of the subject. · Planned: a subject you have selected, but not enrolled in. · Enrolled: a subject which you have successfully enrolled in. · Advanced Standing: a subject for which you have been granted advanced standing (credit). · Passed: a subject which you have enrolled in and successfully completed. · Failed: a subject which you have enrolled in but failed. Subjects are the individual units which make up a course. Most subjects are worth 12.5 credit points. An alternative assessment may be offered where failure will significantly impede a student’s progress in their course, or will prevent them completing the course. Supplementary examinations are usually only awarded to students who have scored within a specified marks range (such as 45-49%). An academic transcript is a complete record of all studies you have undertaken at the University. A copy is issued free of charge upon completion of a course.